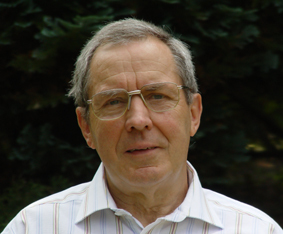 Born in 1936 in Potsdam, Manfred Friedrich is a biochemist, medical chemist and associate professor in nutritional physiology. He has worked until 1991 at the Central Institute of Nutrition of the East German Academy of Sciences. He has worked in photography since 1963, and in artistic photomicrography since 1994. Since 1995, over 60 exhibitions, both in Germany and abroad. Manfred Friedrich took the pictures with a Carl Zeiss Jena AMPLIVAL pol-u polarizing microscope and an Exakta Varex IIb SLR camera. The pictures are direct photomicrographs without any subsequent photographic or electronic enhancement or alteration. The subjects are biochemical substances such as amino acids, monosaccharides or vitamins, as well as sweetening agents and pharmaceuticals. Original sizes between 0.05 and 5 mm2. Enlargements up to 60 cm x 90 cm.